A good starting choice for players not familiar with the game, the Butterfly Liam Pitchford LPX1 table tennis bat provides a solid blend of spin and speed, but excellent when it comes to controlling your shots the way you want. This beginner-friendly bat is constructed with a 5-ply blade and flared shaped handle offering excellent manoeuvrability and smooth motion. Furthermore, it features a red and black Addoy ITTF (International Table Tennis Federation) approved rubber on both sides which offers a 1.5mm density. Additionally, to ensure a proper protection from accidental impact damage, the bat includes a special edging tape. for submitting product information about Butterfly Liam Pitchford LPX1 Table Tennis Bat We aim to answer all questions within 2-3 days. 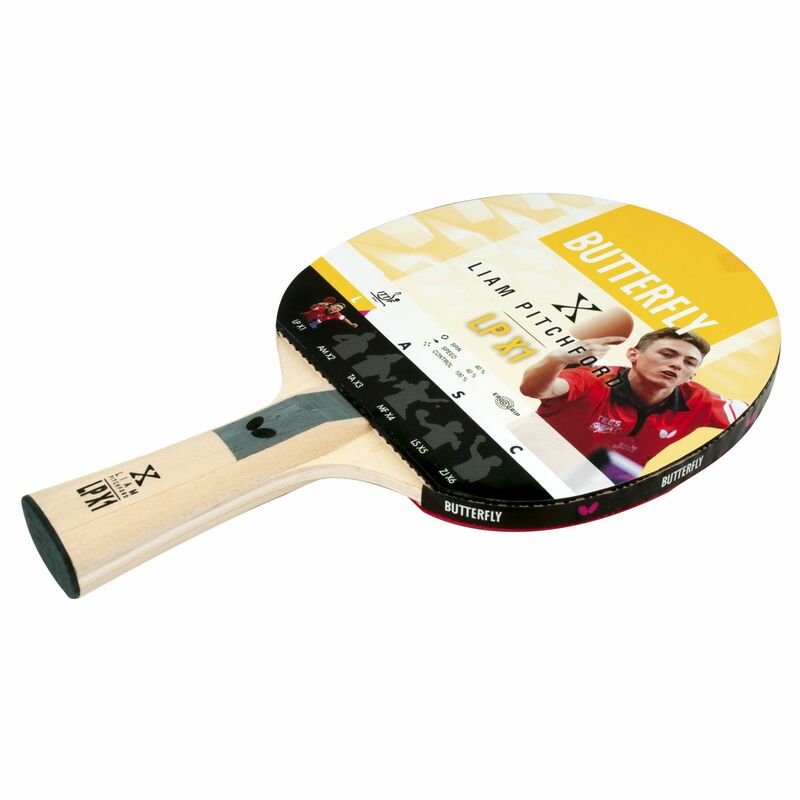 for submitting product information about Butterfly Liam Pitchford LPX1 Table Tennis Bat. We aim to answer all questions within 2-3 days. If you provided your name and email address, we will email you as soon as the answer is published. for submitting product review about Butterfly Liam Pitchford LPX1 Table Tennis Bat.